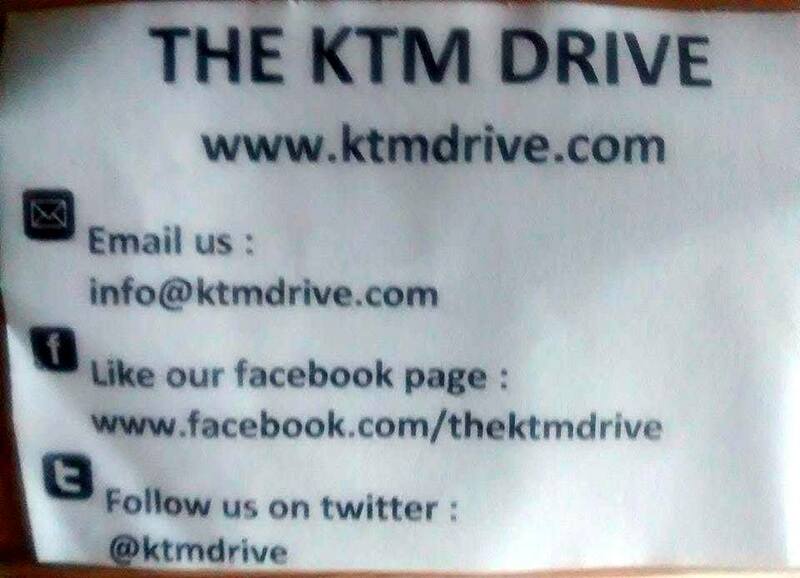 The most common question that we get from people around is how is KTM DRIVE funded?? How do we conduct the events without sponsors?? Where have we used the funds? Firstly we have never approached for sponsors for our events; our drives have always been carried on by our members contributing for the events. 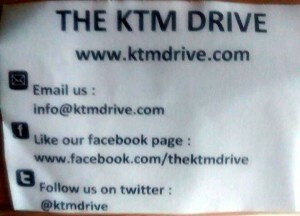 Our activities have been on a smaller scale, yet touched the lives of many and inspired lots of people. The first lump sum donation that we have had was from Jyoti, and we have used that money solely for the purpose that we had collected for: – Higher education for Deepa Rai. The amount of Rs.25000 that was collected, wherein Rs.22000 was given by Jyoti have been used for her tuition fees and uniform for Deepa as she is studying in standard 11th. The other set of money raised was from the t-shirts that we have been selling to our members and non-members for Rs.1000, wherein half of it is our printing cost; the other half has been saved for funding another student for her education. If you know anyone who requires financial help and is excellent in her/his studies, you can let us know. Also let us know if anyone is interested to buy our t-shirts in K-town or outside!! We would love if you could sponsor one of our events which will not more be more than Rs.3000 (IC 2000), or if you want to give in money for education primarily, you could do that too. The medium of transfer is through Paypal or depositing in our accounts or handing out cash to any of our members. Sponsoring kids for their higher studies, the ones who need financial help. Healthy kits given out to children comprising of body lotion, bathing soaps, nail cutter, hand soaps, towel, oil, combs. Getting sapling and conducting plantation activities at schools, Montessori’s. Purchasing saplings and distributing to the citizens outside malls as we create awareness about green. Ice-cream treats at old age home, orphanage, and disabled centers. Kite flying sessions at differently able homes. Giving out new pairs of socks, gloves and caps on the streets, as winter is approaching we would have similar event soon. Giving out shoes/ slippers to an organization which needs it the most. Giving out biscuits, juices to the ones on street and orphanages, organization. Rucksack Project wherein we collect all old, unused clothes, accessories and make rucksacks and give it in the street! The money would be used in various events, the next one being stationery collection (new and old ones) for Disable Rehabilitation Centre. You could give in ideas of what all can be done too. It’s all about giving and helping by the end, ain’t it! !